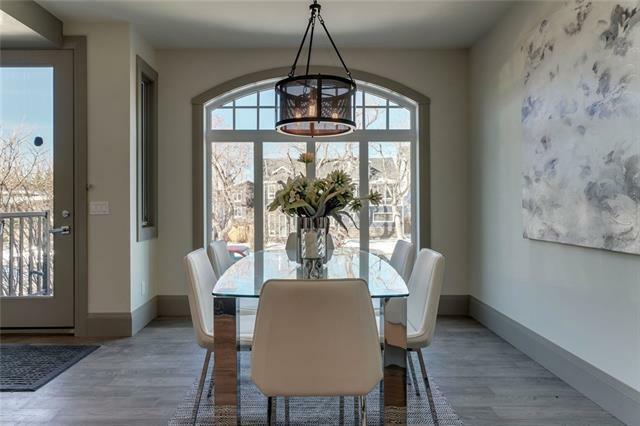 This Georgian Bay Homes townhouse striking design delivers style, function and luxury. 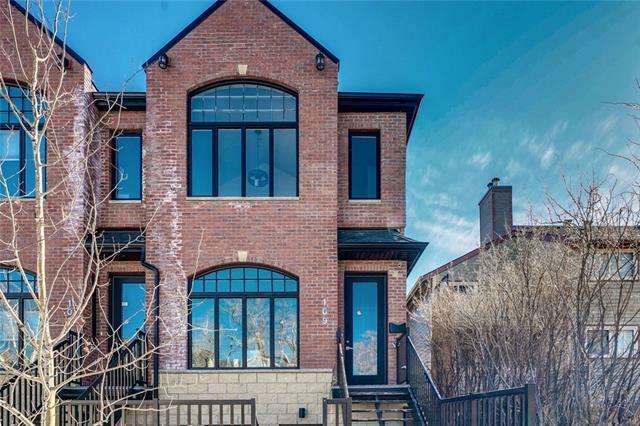 The two storey home in the Manhattan Brownstones features custom, high end finishes including 6" grey oak hardwood floors, 9' ceilings, custom built-ins and an expansive island with a waterfall granite counter-top. The sophisticated kitchen has ample cupboard space, high end appliances, including a gas stove, and room for 3 to sit at the island. The kitchen flows into a living room that is full of natural light, has sleek built-ins and an LED fireplace. 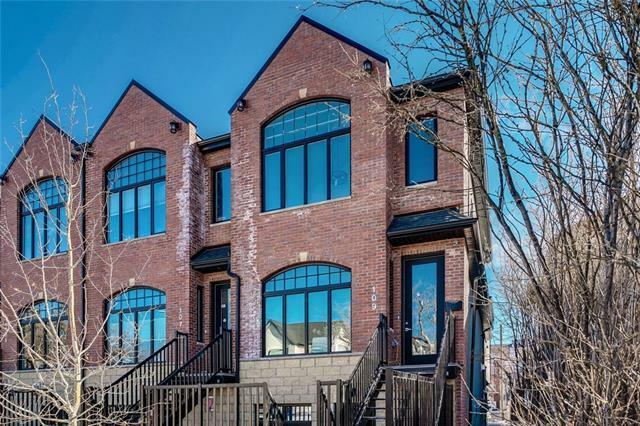 Upstairs you'll find a roomy, brightly lit Master suite, a five piece bath that includes a luxurious soaker tub, dual sinks and a gorgeous shower, as well as a second bedroom that boasts a massive walk in closet. 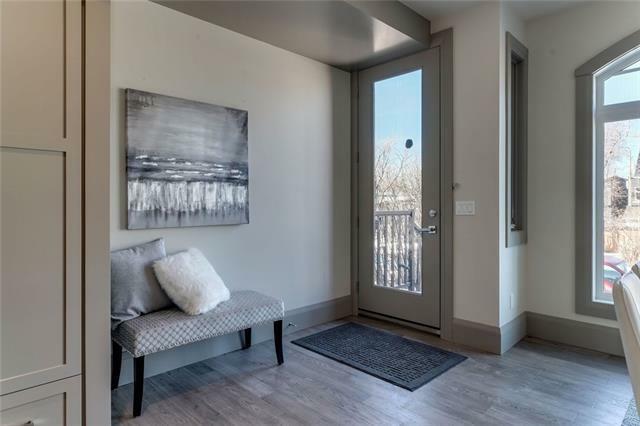 This unit is just a short 10 minute walk to the CTrain and 5 minutes to downtown and all amenities. We also have 4 lower units available, each are 940 sq ft 2 bedrooms, fireplace and garage, prices TBD and completion slated for July 1st. Pick your colors!